We haven't had this much fun coloring since we were kids. And this time it's even better because we're not getting in trouble for drawing on the walls, we're being actively encouraged to do so. 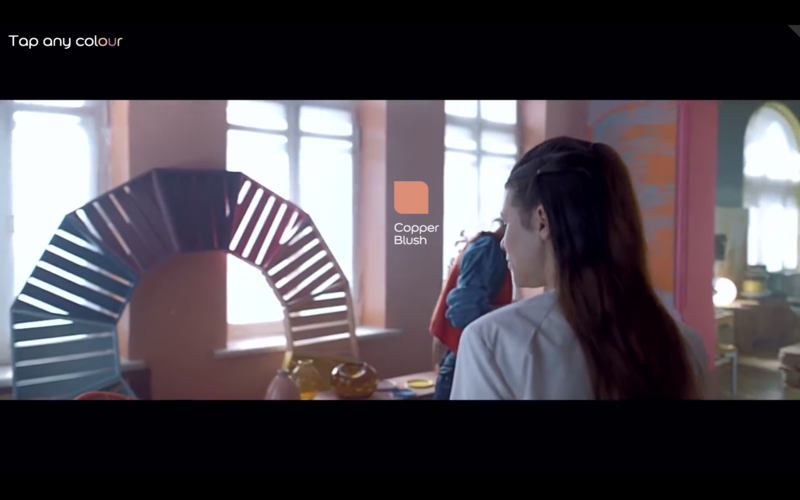 There's no better place to kickstart those creative minds than in Dulux's new interactive video. Using WIREWAX's computer vision technology, you can hover over any person, object, or surface in the video and with just a click to discover a treasure cove of color creativity that would have Rainbow Brite herself in awe . From trinkets on the shelves to the furniture and the walls, this video is absolutely overflowing with color. See something you like? Simply tap a color to explore, directly without leaving the video. You'll find an entire gallery of home decor photos for the color of your choice just waiting to be added to your Dream Home Pinterest board. The Dulux experts even recommend two additional colors that will compliment perfectly. From Auburn Falls 4 to Azure Fusion 3 and everything in between, you'll have your smock on and be ready to paint in no time at all. Color isn't just about choosing which you want to use, but also how you use them. That's why Dulux didn't stop at delivering the highest quality of color advice. You'll see artistic designs throughout the video including a feature wall with an ombré effect or even upcycled furniture using the made by me range. By clicking any of these, you'll dive straight into a tutorial on how to do it yourself, without even leaving the video. Once you've got all the steps down, just click the X to continue exploring the Dulux hideout and the wonderful world of colors. Whether you're a DIY master or just looking for a little extra something to brighten up your home, you're in the right place. Pocahontas painted with all the colors of the wind. 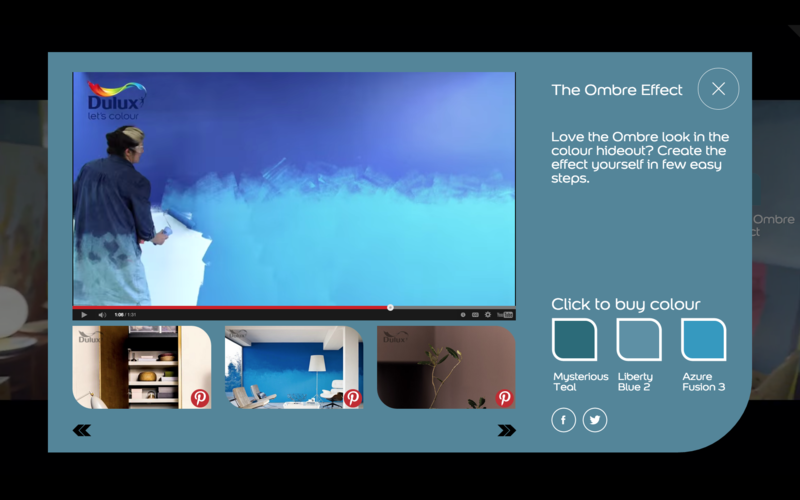 With this Dulux interactive video, you'll get all of those and then some.